Whether new or used , car sales is a challenging business for car dealerships. Volume of car sales is increased with used cars that are certified pre-owned which makes it more affordable for the consumer along with piece of mind by the warranty coverage certified vehicles provide. Some car dealerships allow private auto owners to sell their car though the dealer by charging them a provision. In return, the car dealership allows the owner to keep its car on their lot for showing purposes. What if this option would be supported by the car dealership website in a way that a private seller can post its auto or SUV information directly to the site, the dealer just approves it and it is automatically listed on the car dealership website, ready to be viewed and inquired about? This is exactly what this website functionality allows you to do. You can define different packages and charge private sellers different fees to sell through you. They can select extra features (featured listing, show on map, etc.) to get better noticed on your website if they wish (and pay you extra listing upgrades). On top of that you can define a commission fee which you will deduct after a successful sale of the private party’s car. This kind of functionality gives your car dealership more flexibility and more diversity which will attract more customers to come through your door and check out in person what you have to offer. 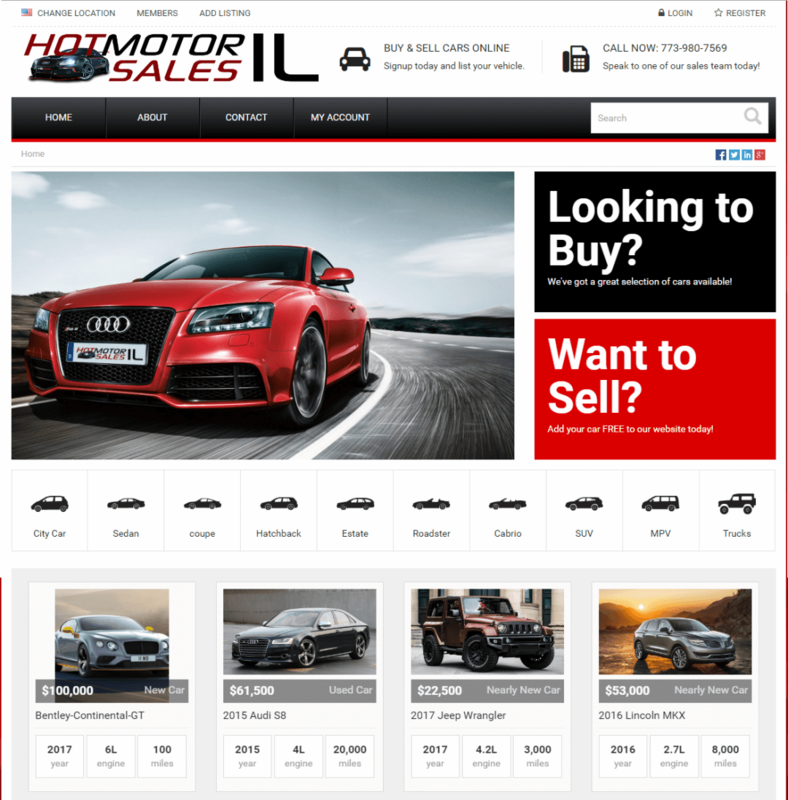 This in turn may convert in more sales for your car dealership which is something every business is looking for.